Someone Bought This: WCW Main Event Game Boy game ad (and a funny video review, too!) 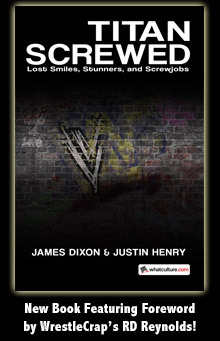 - WrestleCrap - The Very Worst of Pro Wrestling! 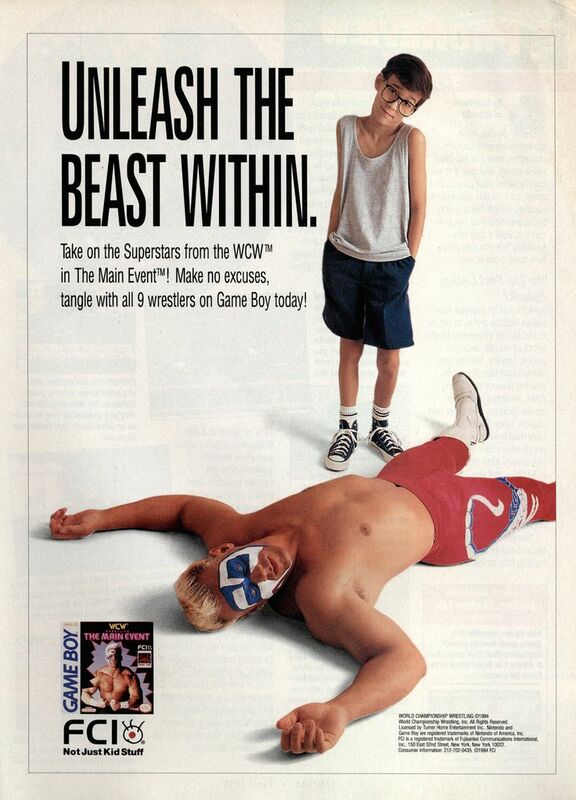 A young Nathaniel shows Sting who’s boss in this ad for WCW Main Event for the Game Boy! Wait a minute… “The WCW”? Did Bret Hart write this ad copy? How’s the game? Well, I’ve never played it but according to Wrestling Video Game Expert Joe Gagne it’s pretty… okay. In conclusion, I think you’ll agree that Nathaniel should be in the WWE Hall Of Fame instead of Sting. 3 Responses to "Someone Bought This: WCW Main Event Game Boy game ad (and a funny video review, too!)" That commercial cracks me up every time I see it! I loved that one!